Almost 22 million school days are missed due to the common cold alone, according to the Centers for Disease Control and Prevention. Studies have shown that hand washing can reduce absenteeism from infectious illness among school-aged kids. Hand washing is one of the most effective ways of preventing the spread of common school-age child illnesses such as cold, flu, pinkeye, and more. Since children spend so much time together in close quarters during the school year, it’s a good idea to make sure hand washing becomes something they do automatically, as a matter of habit. Teach your child to wash his hands often, especially before eating, after blowing his nose, and after using the bathroom. Getting your child to go to the sink won’t matter if she merely splashes her hands in the water for a second and calls it done. She should wash properly for at least 30 seconds with soap and water. Simple soap will do -- you don’t need antibacterial products (in fact, studies have shown that antibacterial soaps are not any more effective at killing germs than regular soap, and health experts have expressed concern that increasing use of antibacterial products may, in fact, be giving rise to antibiotic-resistant bacteria). Cold and flu viruses can become airborne on droplets of saliva when someone sneezes or coughs. 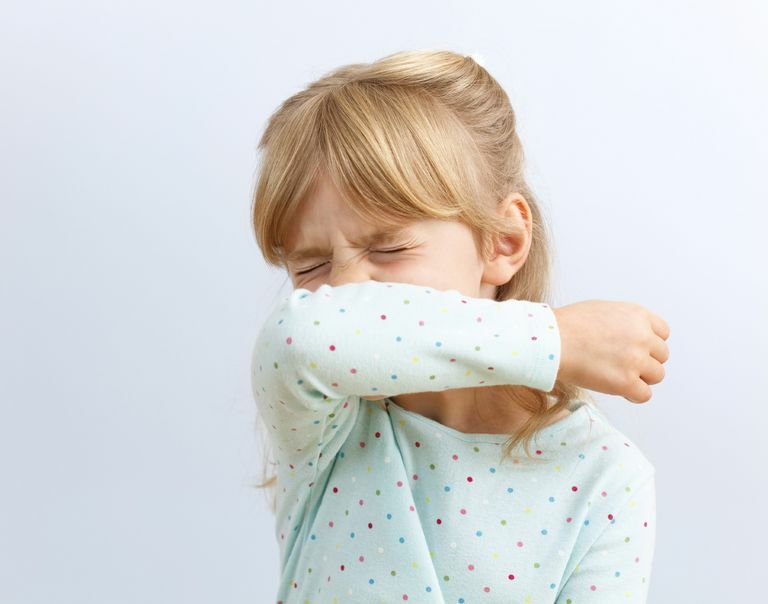 Teach your child to cover a sneeze or a cough with a tissue or with the inside of her elbow. A recent study showed that most people cover their sneezes, but do so with their hands (a bad habit that can spread the illness to others). If your child touches something that someone with a cold has touched and then touches his eyes or mouth, the cold virus can enter his body through those points. Infections such as conjunctivitis can also be transmitted through touching eyes after touching an object that has been handled by someone with that infection. Kids naturally love to share (well, sometimes…especially when it’s not a favorite toy), but it’s not a good idea to share eating utensils with friends, especially during cold and flu season. Viruses and bacteria are easily transmitted through saliva, so this is one type of sharing that you should teach your child to avoid. In addition to these healthy habits, be sure to give your kids plenty of healthy and nutritious foods, which will help keep his immune system strong and ward off colds and flu. And make sure that he gets plenty of sleep, which is not only important for keeping him healthy but helps school-age kids focus in school and prevents crankiness and moodiness. Getting kids to go to bed can be a particular challenge for school-age kids, but it's important for his health as well as his emotional and cognitive well-being. FluMist vs. a Flu Shot: What's Better?